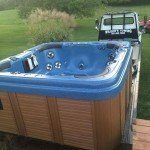 The only of its kind in this region, Wilson’s 24 Hour Towing has taken exceptional to a whole new level. When your vehicle leaves you stranded, our operators utilize logistics to locate you from any highway, side street or back street. 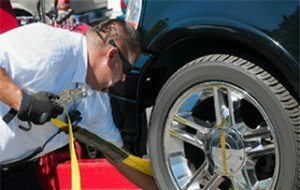 Roadside assistance at its best, we will change your tires, jump start your vehicle, or even deliver gas. 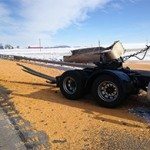 When only a tow will do, we have the right equipment to winch, pull, or haul your vehicle to a local shop. We know you have a choice, but with well-trained ACE technicians standing by 24 Hours to serve you, we hope you leave your repairs to us. In business for over five decades, no one knows our coverage areas like we do. 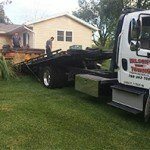 Master craftsmen, and trained to perform any tow, compact car or Big Rig—your best choice is Wilson’s 24 Hour Towing. One man’s idea for serving his community started as a Standard Oil gas station and one tow truck in 1963. As the demand for more towing services grew, the astute businessman left the Standard Oil station at 500 East Main Street and took to a Marathon station up the road at 1000 East Main Street. Not even a decade of unsurpassed service, and the local police asked that he add a second tow truck to support local authorities with extricating victims involved in bad accidents. The early 80's would bring new changes as well. He sold the gas station and moved to 2020 Indianapolis Road, establishing a state of the art facility for auto repair and storage. Today, what has grown into a 6 truck operation, continues to be the towing and repair authority for motorists and law enforcement agencies throughout Montgomery County and surrounding localities. 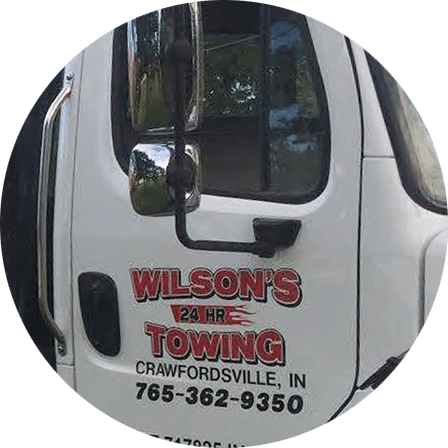 Recognized today as “the go-to company” for Towing and Auto Repair, when your vehicle calls for it, call Wilson’s 24-Hour Towing. 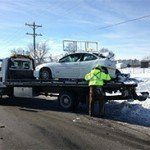 We maintain a reputation throughout Montgomery County and beyond, as one of the most professional towing and roadside assistance agencies in the state of Indianapolis. We provide efficient and damage-free work and carry the right equipment to handle any heavy or oversized equipment. When it comes to accident recovery, we offer anything from site clean ups to traffic management. No wonder local authorities count on us to get the job done. Light-duty, medium-duty, heavy-duty, count on Wilson’s 24-Hour Towing to get the job done. 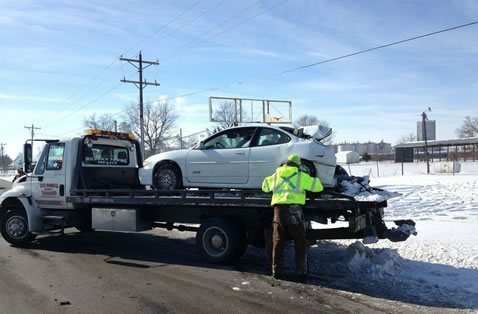 At Wilson 24-Hour Towing, operators are on call 24/7 to respond to your road side emergencies. 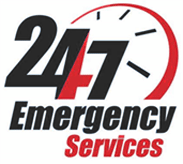 From tire changes to fuel delivery, jump starts and more, when you call us, your downtime is reduced to a minimum. Don't wait until your automobile breaks down to get it serviced. Your vehicle is an investment and you should protect it by keeping up with regular maintenance. 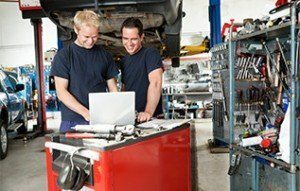 From regular oil changes to brake inspections, tune ups and all factory recommended services, it is important that your automobile receives regular mechanic shop visits. Choose Wilson 24-Hour Towing today for the next maintenance service on your car, SUV, or small truck. I love Wilson's Towing for being a real company that don't nickle and dime customers. Jacob is the best by the way!